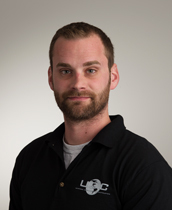 Kyle joined the UDC team in February 2012 and has swiftly moved up from an entry-level tech position to managing the day-to-day operations of over 150 units for UDC. Prior to coming on board with our team, Kyle worked in landscaping and design for a local contractor. His hard work and eagerness to learn all aspects of lawn maintenance has been beneficial to his role in maintaining the exceptional quality of apartment living that UDC is known for. In 2017, Kyle began additional training in a program developed by the National Apartment Association and is now a Certified Apartment Maintenance Technician.